is an emission nebula surrounding the super-hot, irregular variable star AE Aurigae, believed to have been ejected from M42 Orion some 2.7M years ago. IC 405 is estimated to be 5 light-years across, and 1,500 light-years from Earth. 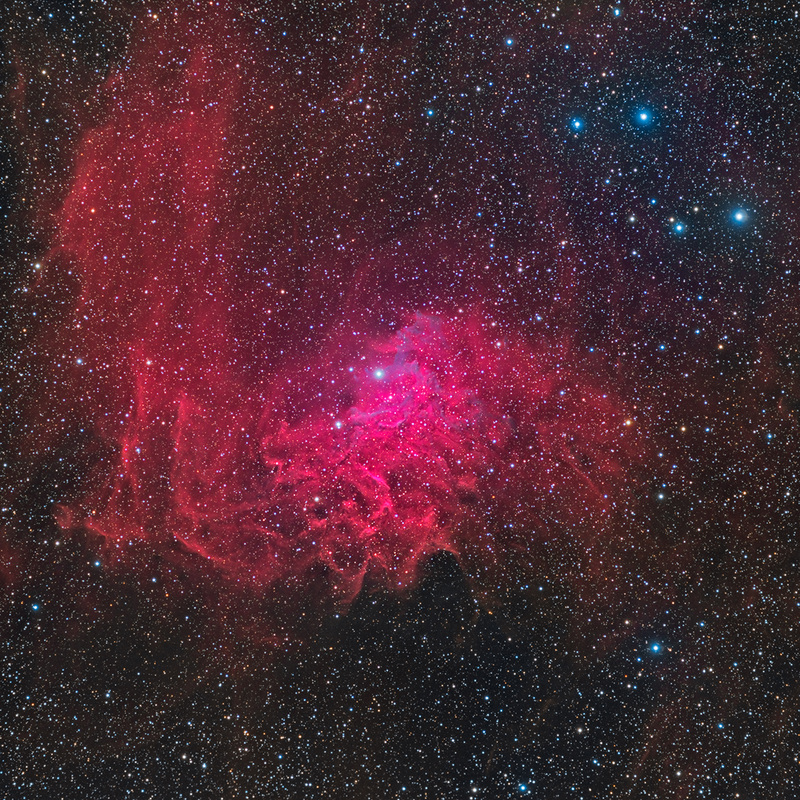 The red, hydrogen gasses mingle with AE Aurigae's intense blue light to yield the lovely purple tendrils at center. Thanks to my observing partner Mike Miller for acquiring this fine data.